Kulfi is a popular milk dessert in India. It has similarities in appearance and taste with ice cream, but it is more creamier. Due its density, it takes longer time to melt than ice cream. They come in different flavours, regular ones are cream and pistachio(pista), Mango, Cardamom. Traditionally it is made from thickening whole milk, adding dry fruits. We can add flavours of our choice. We get kulfi moulds in the market. Pour the flavoured and thickened milk into them and freeze them for four to six hours. 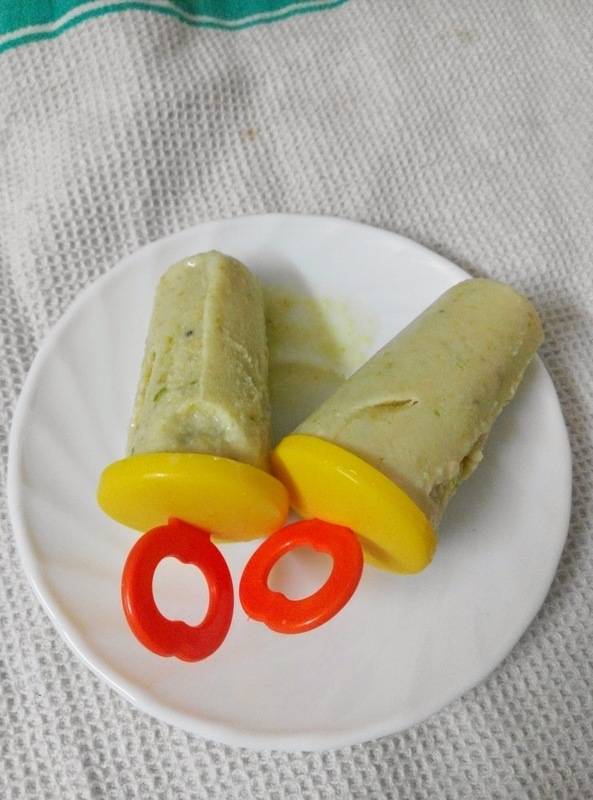 I posted very simple kulfi recipe, it can be made with our choice of flavours also. Soak pistachio and badam separately in warm water for 10 to 12 hours. Remove the skin of badam and pista. Grind them to a coarse paste. In a wide and thick kadai, boil milk on low flame. Boil till it thickens or for 30 minutes approximately. If we use whole milk it thickens fast, but we use normal milk it will take longer time to get thicken. Once the milk started to a rolling boil, add cardamom powder and sugar. Stir well. Now add the above pista, badam paste to the milk and allow it to boil for 5 to 10 minutes more. Keep stirring once the paste is added, so that no lumps are formed. Allow this to a rolling boil for about three minutes. Now pour it in the kulfi moulds and freeze it. Keep it in freezer to set for four to eight hours. Take it out of freezer just five minutes before serving. 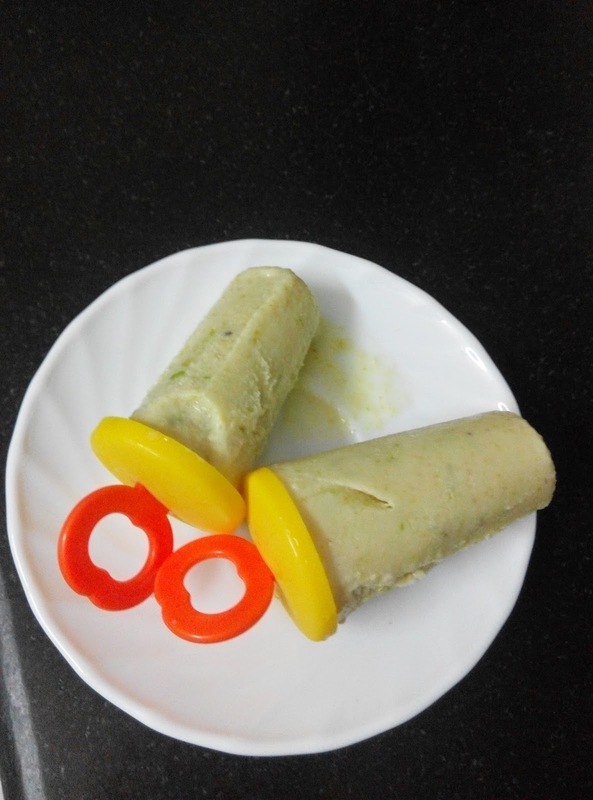 Slide kulfi moulds edges with a butter knife and slowly unmould it onto a plate and serve.